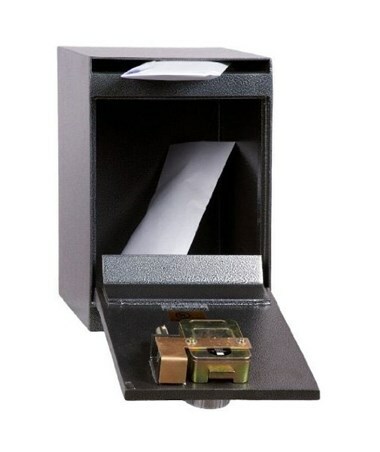 The Hollon B-Rated Depository Safe with Combination Lock is a solid under-counter safe with B-rated burglary protection. The UL listed Group 2 combination dial lock is tamper-resistant certified and comes with an internal re-locking system that activates the bolts in case of theft attempts. The deposit slot has a guard plate that deters “fishing” attempts to pull out the contents of the safe. 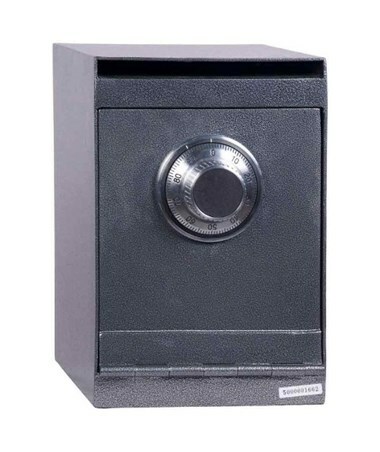 This B-rated safe features an interlocking steel plate on the hinge side of the door means that the hinges can be removed and the door will stay locked. Also included are anchor bolt holes so that the safe can be bolted down in place. 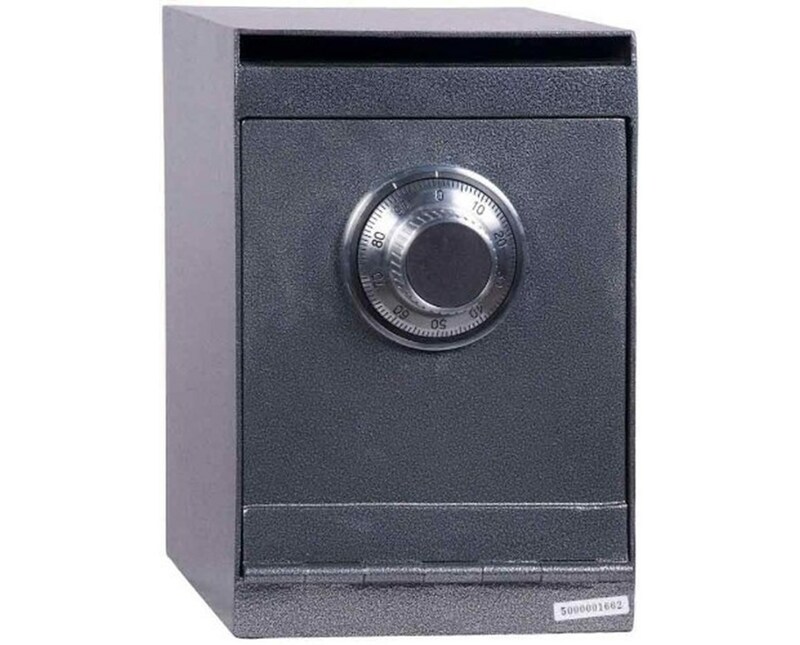 This depository safe is made of solid steel with a ½-inch thick door and ¼-inch thick body. It has a durable gray powder coat finish and is backed by a one-year limited parts and labor warranty and a two-year limited replacement part warranty.